With TeamCity you can build your code, check it, and run automated tests on the server even before committing your changes — keeping your code base clean at all times. TeamCity will suggest or automatically assign investigations to team members based on a number of heuristics. That way the person who most likely broke a build will receive a notification to investigate the failure. TeamCity tracks different stages of the build and reports all the information on the fly - both in the web UI and in all supported IDEs. You don’t have to wait for a build to finish to discover that something is wrong. 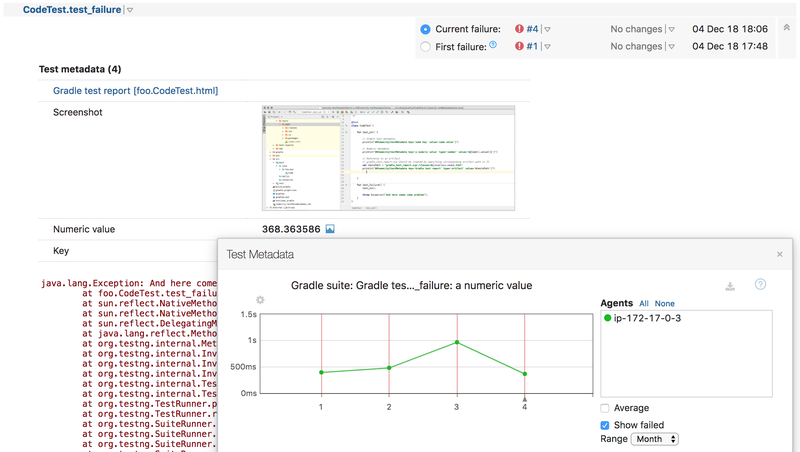 TeamCity detects tests which behave unstable with the same code. When such flaky tests are discovered based on a set of differents heuristics, they are displayed to you on a dedicated page, so that you can look into them or assign investigations to have your team members fix them. Add screenshots and other test data, such as links, artifacts, logs, and numeric values, to the test results. 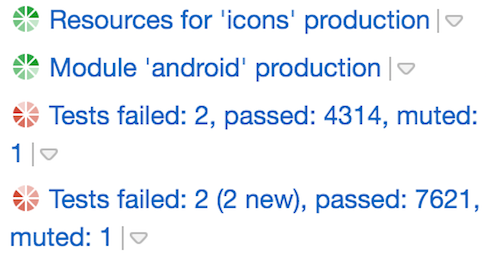 These will be displayed natively in the test details section of the UI. 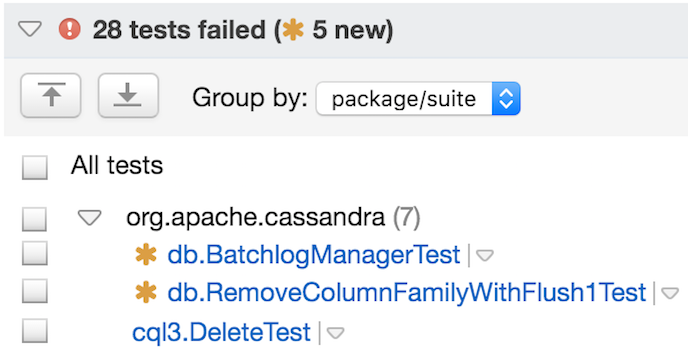 Newly Failed Tests and "Fixed in"
When newly checked-in code fails a test, TeamCity immediately shows it. If a test did not fail in the previous build, it will be shown as a "New" failed test. 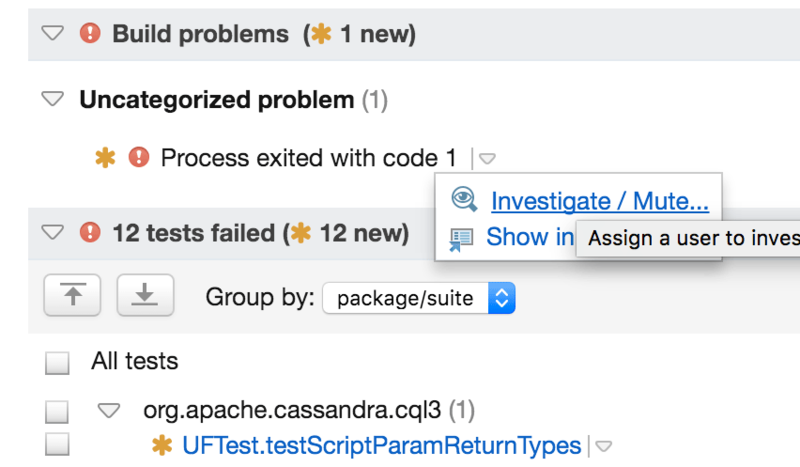 For certain build tools like Ant, IDEA Project runner, MSBuild and some others, you can configure TeamCity to change order of tests. For example, recently failed or new tests can be started before others to provide even faster feedback to the developer. TeamCity offers multiple ways to instantly notify you about build problems or any other changes in your projects. Be notified by email, instant messenger, or get notification right in your IDE. You can set up multiple notification rules on all kinds of events, and also choose the order in which they are processed.